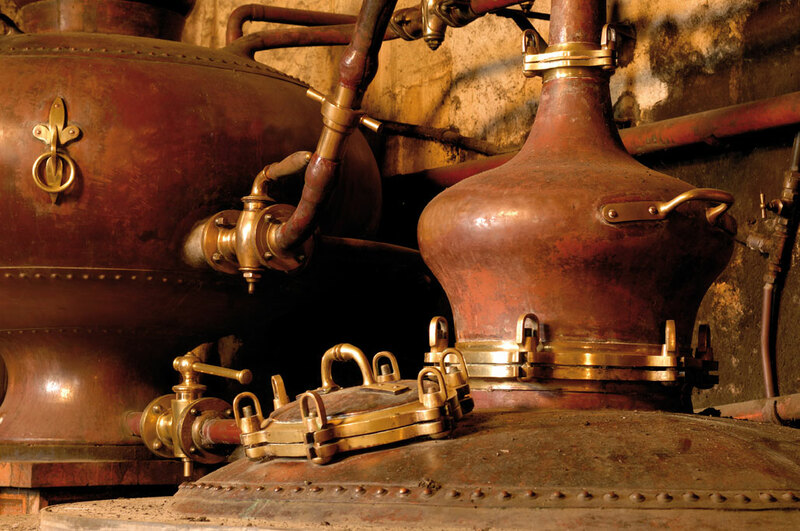 Most Cognac houses have a fascinating history. But when it comes to one that came into being through a man’s life long quest to collate the greatest collection in all of France, then you just know that you’ve stumbled across one that’s truly special. Because this is the back-story behind this wonderfully high quality house. And for anyone who enjoys the very best top quality Cognacs, then this is a producer that you simply have to be aware of. In our humble opinion, this is a house that is incredibly underrated. Indeed, many connoisseurs are unaware that they even exist. 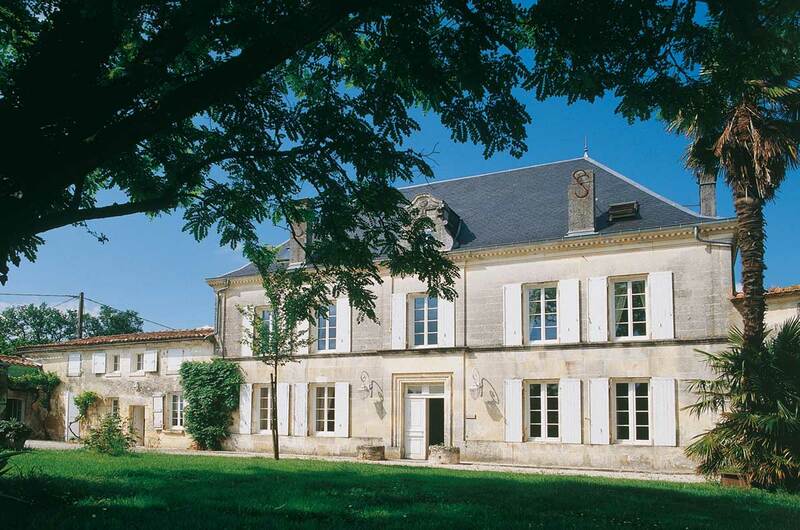 At Cognac Expert we’re delighted to bring this historic house to your attention. And, we have to say, we’ve been truly privileged to have personal contact with the house and an incredible introduction to their whole range. So let’s take a journey back in time to discover exactly what it is that makes the Cognacs of A.E. Dor so special. And we’ll also tell you some of our personal favorites so you too can join with us on the sensory journey that is A. E. Dor. 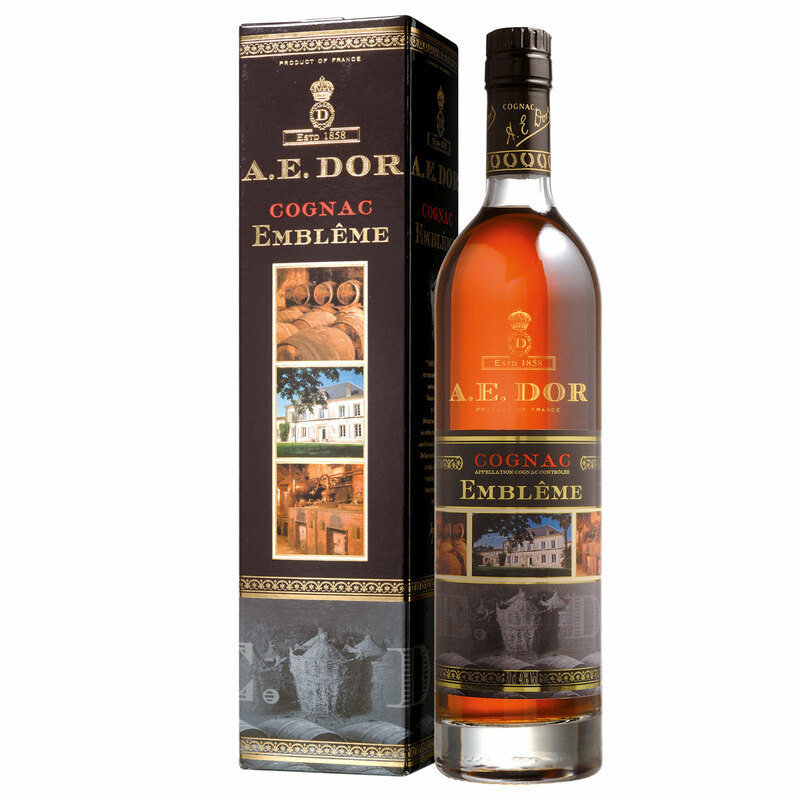 It was in 1858 that Amédée-Edouard Dor’s obsession with Cognac began in earnest. Living in Cognac, the eldest son of a well to do family, he began a quest to bring together the finest collection of Cognacs in the whole of France. But his mission wasn’t to find just any old Cognacs-oh no, his ambition went far, far further than that. What he wanted to do was create a collection of the very highest quality eaux-de-vies: a collection that would become the envy of the world. So with this in mind, he began searching for those that were of a suitably extra special standard. And only those that made the grade would be granted entry into the hallowed family Paradis Cellar. Does this sound like an easy task? Of course it doesn’t. And what began as a simple idea became a passion that took him his whole life to complete. We can only imagine how difficult this task must have been. But as his search continued his reputation began to grow. Amédée-Edouard Dor was a true entrepreneur of his time, because he bucked the trend of only looking at the Cognacs of the larger houses. This guy scoured every producer in the region, and this included the boutique and tiny houses, including many today that no longer exist, or that have been swallowed up in take-overs and the might of the giant Cognac producers. As his work became more widely known, so did his access to more and more eaux-de-vie. This included many that had never been seen or tasted before. And this is where the guy’s skill and knowledge came into play. Because his mission became to not only age these Cognacs to their optimum maturity, but to preserve them in such a way that they could be enjoyed by future generations. He did this by decanting them into glass demijohns and sealing them with wax. And many of these treasures still lie unopened in the Paradis cellar of A. E. Dor. 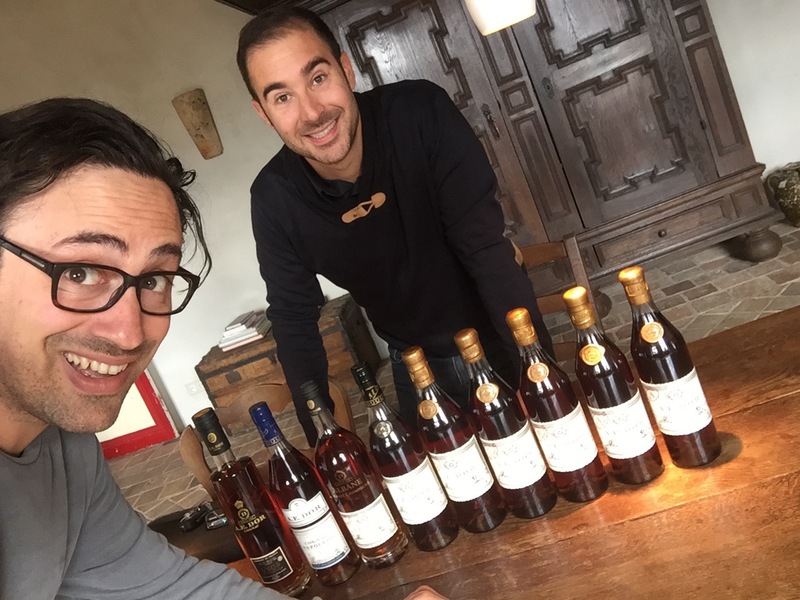 This means that to this very day, this artisan Cognac house has one of the most amazing collections of pre-phylloxera eaux-de-vie to be found anywhere in the world. So let’s fast forward to the 21st century. Today the house is run by Pierre Antoine Rivière (who took over from his father Jacques Rivière 15 years ago), and he’s on his own mission: That of creating a wonderful top quality range of Cognacs that will appeal to a wider, international market. In other words, he wants his delightful Cognacs to be enjoyed by connoisseurs around the world. We’re delighted to assist him in this task, being as at Cognac Expert we love to champion the smaller, artisan producers. And we have to say, the range is pretty amazing. We’ve been incredibly honored to have had a personal introduction to the complete range (when Loric came by to our HQ in Cognac, Logis de Beaulieu). 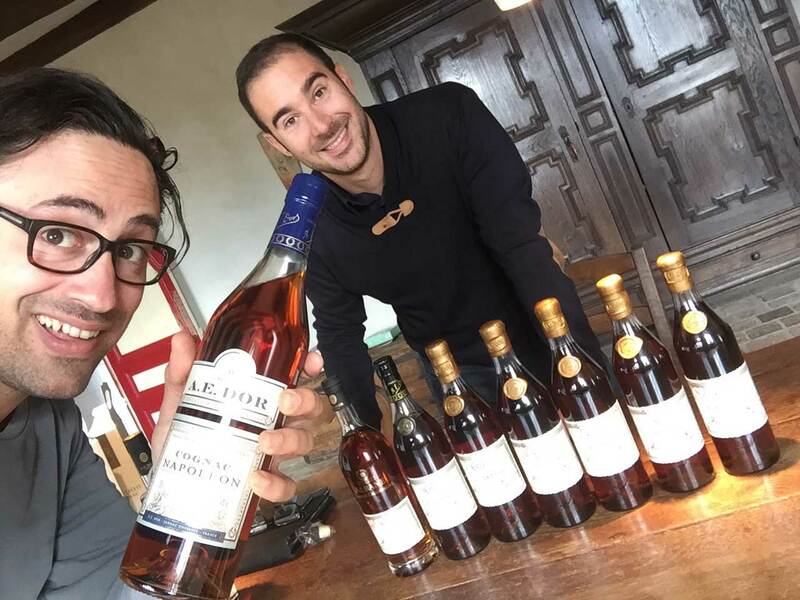 For this we thank Pierre Antoine, and in return we want to tell our ever-growing number of worldwide Cognac Expert readers about what really is a unique collection. 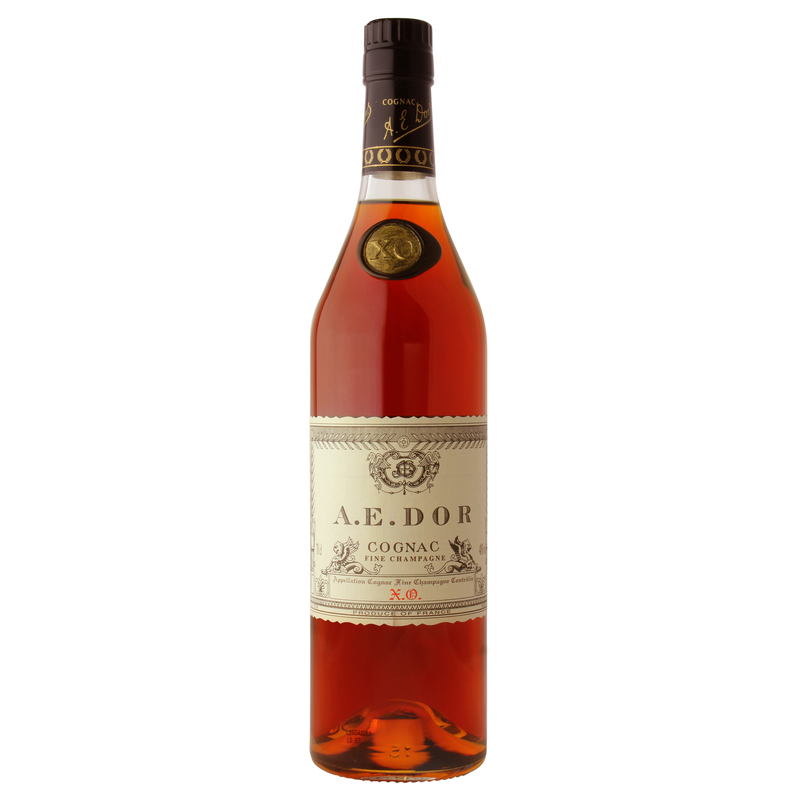 One very interesting fact is that A. E. Dor have been given special dispensation to produce Cognacs outside of the law made in 1946. This law states that all Cognacs have to have a minimum of 40% ABV. But because of the natural loss of ABV as eaux-de-vie ages, some of their oldest ones have naturally lowered below this legal limit. However, because of the uniqueness of Amédée-Edouard Dor’s collection, today the house is exempt from this. What this means is that they are able to continue to use these incredibly old Cognacs for amazing creations that really are a true piece of history. As we’ve already mentioned, we’re incredibly lucky to have had personal tastings of the A.E. Dor range, courtesy of the Cognac house itself. And what a range it is-it’s huge! So let’s talk about some of our favorites, and some of the flagship offerings from this historic house. A.E. Dor has created three different ranges of Cognac. These are the Tradition Range, the Gamme Hors d’Age Range, and the Decanter Range that includes some great tasting sets. The following are some of the highlights of all three ranges. This is a delightful XO quality Cognac. It’s light, delicate and, if one can use such a word to describe a Cognac, elegant. From the moment you set eyes on its mahogany body you’ll be seduced. And the journey certainly doesn’t end there, as it takes you on a thrill for all the senses, culminating in a long, superbly balanced finish. Discover or buy A.E. Dor XO Grande Champagne – a delicious XO, in the Cognac Expert online shop. For sure Max’ favorite! A blend of both Grande Champagne and Fins Bois eaux-de-vie, this Napoleon quality Cognac delights with its vanilla and apricot tones, with slight hints of luscious chocolate. The presentation is also striking, with informative images of the family estate, Paradis cellar, and those oh-so-famous demijohns. Read more and buy A.E. Dor Embleme Cognac. This is a Cognac to-die-for. It’s an hors d’age Grande Champagne made from eaux-de-vie that aged for half a century – from the year of 1914! The Cognac reached its optimum in 1964, and was then transferred to sealed demijohns to preserve them at their best. Floral, even mushroom hints abound. 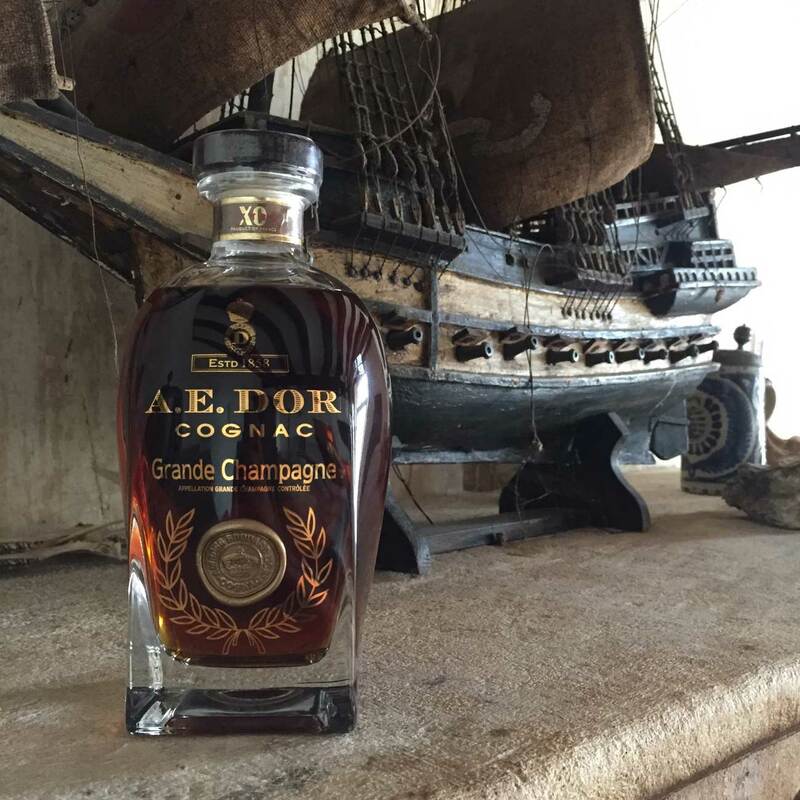 This is a Cognac that truly deserves to be tasted by those who appreciate the finer things in life. 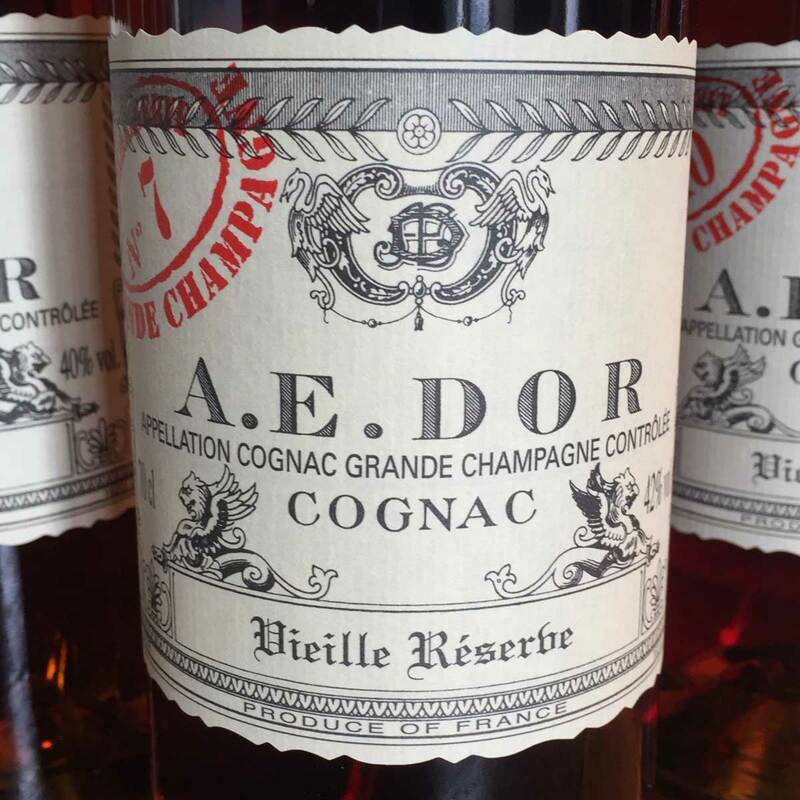 Buy this incredible Cognac: A.E. Dor Vieille Reserve No 9 Cognac in our online shop. If there was every a Cognac that was pure magic, this Grande Champagne offering has to be it! 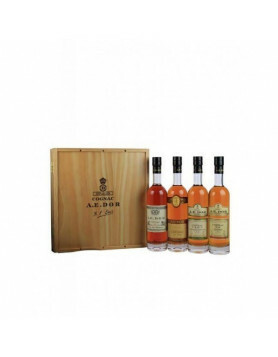 This Paradis Cellar Cognac is the very reason that Amédée-Edouard Dor’s lifetime quest was worth all his hard work. Such an amazing Cognac deserves the very best presentation, and it certainly doesn’t disappoint. The sweet nectar is lovingly cradled in a Daum Crystal decanter, and gently lies in a silk lined wooden coffret. This is time travel in a bottle, and for those who have the chance, it’s a way to own a real piece of Cognac history. Discover this incredible Prestige Cognac Tasting Set. If you’d relish the opportunity to sample four Cognacs from the A.E. Dor range, then this ‘quatre cru’ set is for you. A cru is the name for the different growth areas of the Cognac regions, and here you get four of the very best: Grande Champagne, Petite Champagne, Fins Bois, and Borderies. 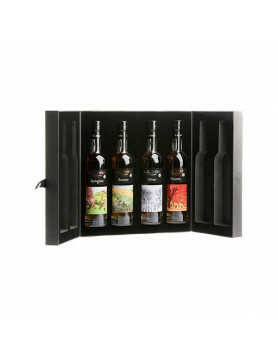 Each bottle is 20cl in size, and they come beautifully presented in a wooden presentation box. As well as giving you the chance to compare and contrast the differences that the soils of these terroirs imparts upon the grapes that grow there, it also offers a great value for money way to sample a range of the A.E. Dor Cognacs. Find A.E. Dor Quatre Cru Set in our online shop. 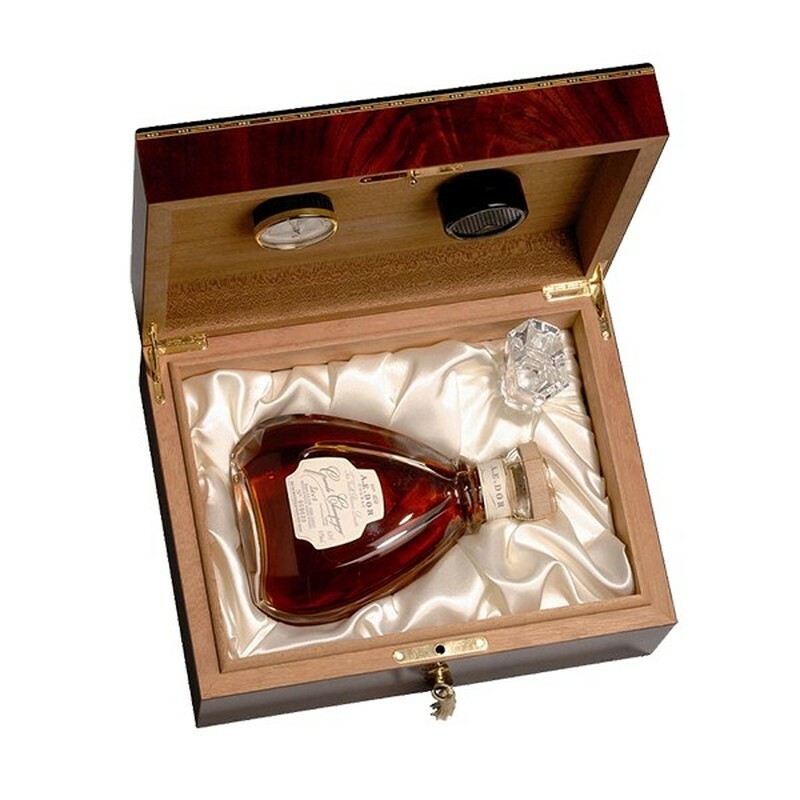 This stunning decanter and Cognac was created to celebrate the 150th anniversary of A. E. Dor. The Cognac itself comes, naturally, from deep within the Paradis Cellar, and is pure Grande Champagne. 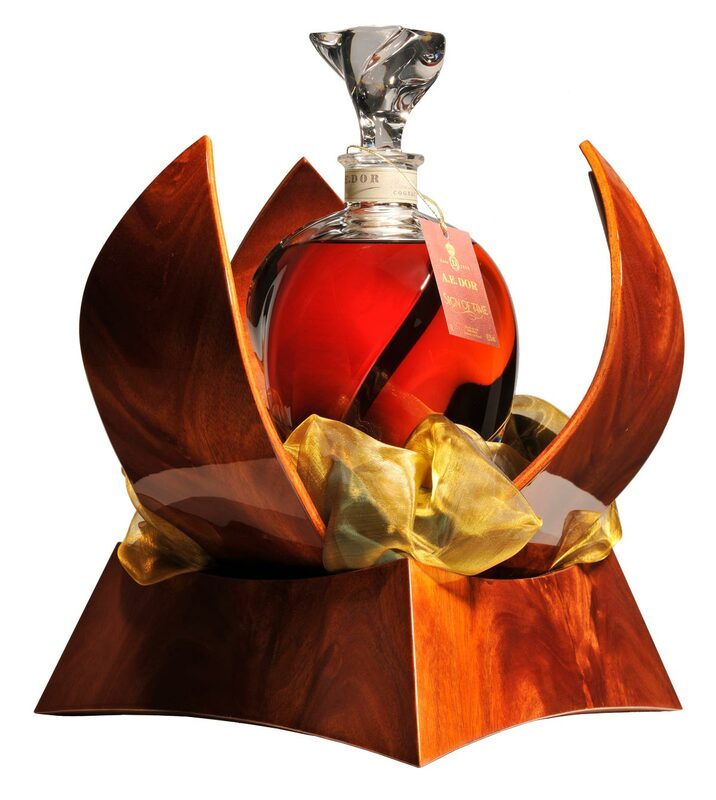 The 1-liter decanter has been crated by La Cristallerie Royale de Champagne, and is presented in an exclusive mahogany coffret. A true gem, and one that would be an honor to own. Discover more about this remarkable A.E. Dor Sign of Time Cognac. 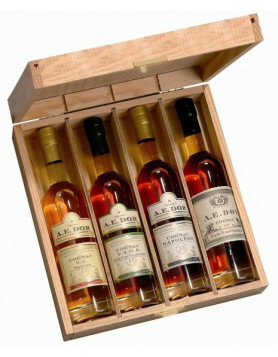 This is just a handful of the Cognacs produced by A. E. Dor. More about A.E. DOR Cognac, and lose yourself in what we think is a Cognac house that deserves to be far more well known than it currently is. 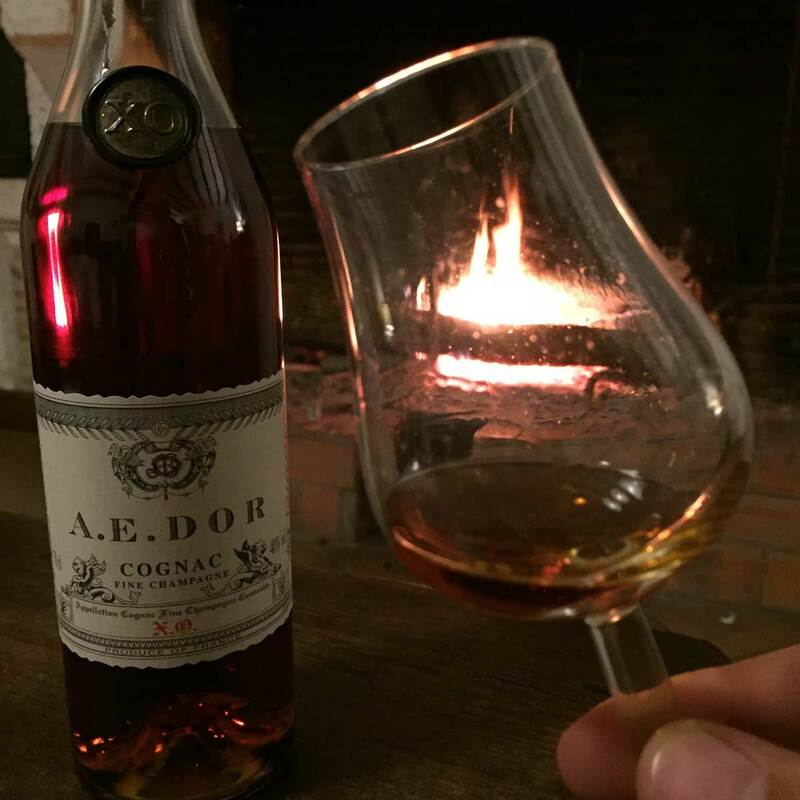 The great thing is that the house produces Cognacs to suit all budgets, meaning everyone can experience the beauty that is A. E. Dor. Stay tuned, because we honestly think this is a brand that’s going places. And they really do deserve to. Because in our humble opinion, they make exceptional Cognac. The XO,is one of the best cognac ś i ever tasted ?